Thought of the day: I'm just never going to get over collecting little rings am I? My latest acquisition was totally inspired by a picture that I saw on a random tumblr. I adore the tones in this photo but I especially loved the little structural ring. I am pretty sure this one comes diamond encrusted but nevertheless it's striking and perfect for everyday. I just like the idea of wearing one small statement piece rather than overloading your hand with too much action. I picked up the perfect version from esswara. Sadly for my non-UAE people, they only ship within the country but the designer is Louise Hendricks and you can find her online. I popped it on yesterday and in the spirit of newness decided to refresh my manicure. I am not sure why I opted for Essie's Fiji - the most difficult colour anyone can apply - but I fancied some pretty on my talons. This was a 2 coat job - with 3 on some nails that refused to be even and non-streaky. It's never easy with "Fiji" is it? I know the end result is worth it but the process to get there is a frustrating one. This is also the first time I have used Essie "Good to Go" as a top coat. Seche Vite is not sold here at the moment so this is the closest we can get to a long lasting shine. I have high hopes for this because from what I have read online this avoids the dreaded shrinkage that goes hand in hand with Seche Vite. I do want to get some outfit posts up but I haven't managed to catch any decent photos to post. Either that or I just haven't worn anything interesting. Probably more the latter! 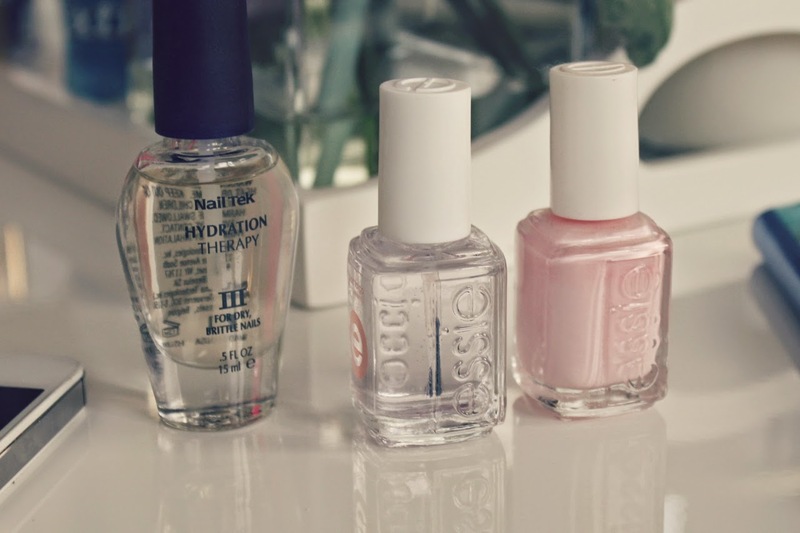 Would love to hear some more feedback on the essie topcoat. I'm over seche vite, thickens up so quickly! I have been using Ciate's speedy coat which is great but also has started to thicken. Such beautiful photos! 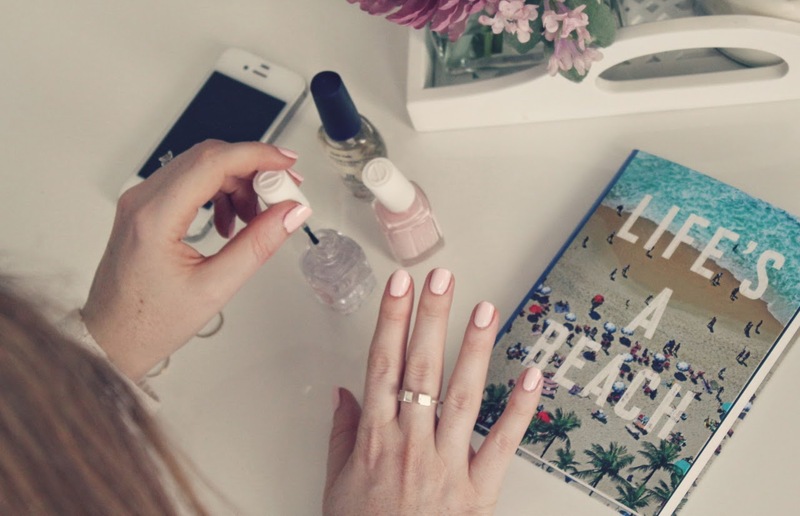 I love the light pink nail colour for summer! Fiji is my favourite Essie shade & worth all the effort in application! I go for statement rings too, love your new addition Laura! Love this nail colour! So inspired me to ditch my current chipped trampy look I've been hiding from the world in little dinosaur claws for the last few days. I'm always out when i remember they need doing! Thank you for the reminder! The jumper is cute- just the right amount of sass! You've reminded me I need to repurchase Fiji! That jumper is very quirky. I love Fiji as well, but like you said it's the world's most difficult color to apply. I was hoping that they would change the formula and make it more manageable, but unfortunately that's not the case. If you have access to Deborah Lippmann nail polish, check out her top and base coats, they are great too. 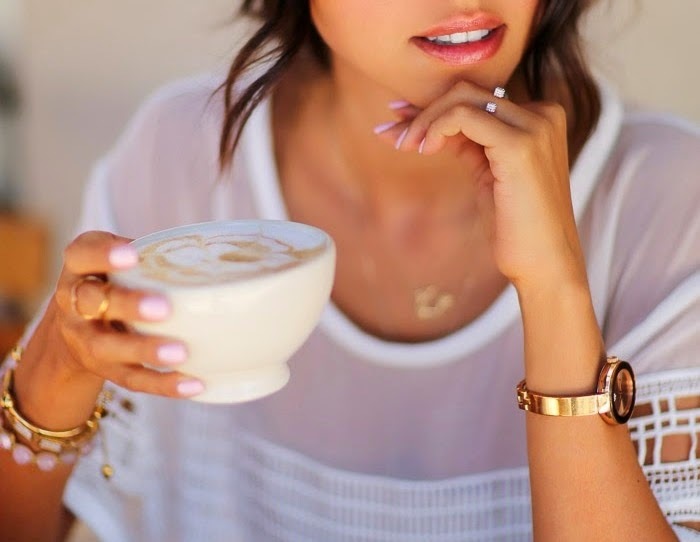 Love how soft and dainty the color is! Perfect for a dinner date. 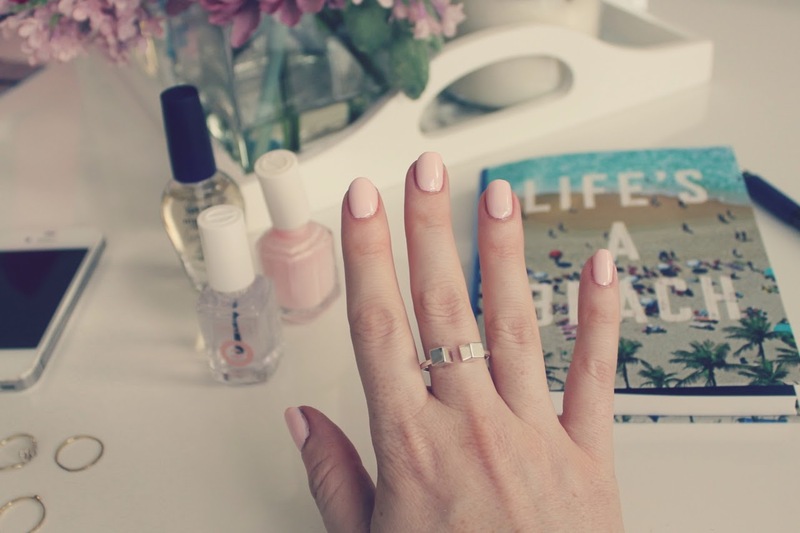 pretty ring! the color is nice too, but i agree, shades like that are so hard to get right! This is an overall beautiful post! Love the jumper too. Fiji is one of my all time favourite shades, you can't beat it! Love that jumper too! what a beautiful foundation! My mother in law is remarrying next month and we have been looking for a good coverage/glowy/line softening foundation. Would this be a possible good choice? The ring looks great on you! Esswara now ships to all GCC countries, so anyone from Kuwait, Qatar, Bahrain, Oman or Saudi can buy our lovely products! Wow, superb ring. Nice & unique design. Hello guys, here i'm going to show you some amazing images of mehndi design for legs may you like this post. Also share this post. Hello guys, here i'm going to show you some amazing images of katy perry with no makeup may you like this post. Also share this post. Great effort... superb organic content. If you are interested in Top 10 Best Indian Homes Interior Designs Ideas do have a look. Great effort... superb organic content. If you are interested in mehndi do have a look. Hello Friends, here we offer you amazing Yepme Promo Codes use them and grab latest new offers.